It sounds like an old film but the cry to call out the Sheriff’s posse still goes out in Maricopa County. Western law enforcement has used the assistance of volunteers since territorial days to track down bandits or to look for lost people. These volunteers were usually formed into a group called a posse and in the movies they are sworn in, handed tin stars and dispatched on horseback. 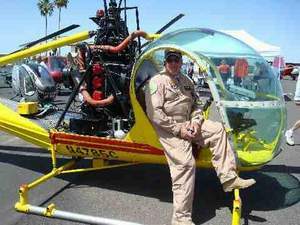 These days they are well-trained, vetted professionals who actually do go out on horseback but also in Jeeps, ATV's, boats, in airplanes and helicopters. 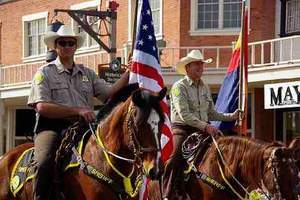 The biggest, most organized Sheriff’s posse is in Maricopa County, Arizona comprised of over 3,000 volunteers in 47 specialized units. Formally structured into different posses based upon their expertise; they include pilots, divers, mountain climbers, doctors and communications experts. They buy and maintain their own equipment to serve in this capacity. That means using their own motorcycle, truck or horse and even their own personal airplane or helicopter. These are men and women who donate their time and resources to the posse at no charge to the Department or Taxpayers. The duties of the posse includes assisting in emergencies of every nature; maintaining law & order on the lakes and rivers, backing up patrol deputies on dangerous calls; providing traffic control for accidents, special events and other duties as called upon by the Sheriff's Office particularly Search & Rescue missions. Arizona is a rugged place and much of Maricopa County's 9,226 square miles is uninhabited desert and mountain terrain. It is also a destination for hikers, climbers and mountain bikers who make high use of these recreational areas along with by off-road enthusiasts, campers, and boaters. Combine the size of the area with Arizona's extreme conditions and you'll find a need for a large-scale, well-organized rescue efforts. Stranded motorists, downed aircraft, and train derailments have also occurred in these remote areas. In response to this situation, Maricopa County has developed one of the most efficient and successful Search & Rescue organizations in the entire nation. 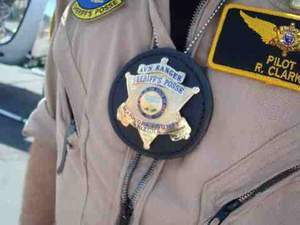 Aside from Search & Rescue the posse also adds manpower to some of the Sheriff's special operations like rounding up deadbeat parents, fighting prostitution and investigating animal cruelty complaints. The man who has managed to inspire and organize the 3rd largest Sheriff’s office in the Country as well as this elite posse is Sheriff Joe Arpaio. He is known as “America’s Toughest Sheriff,” a name given to him years ago by the media. Continually scrutinized by the press for his "get tough" policies he always manages to stir up controversy. After 40 years in law enforcement, Arpaio knows the how to hit the hot buttons of the media and public. His programs include creating chain gangs, housing prisoners in tents and providing only bare essentials to the incarcerated. Arpaio banned smoking, coffee, movies, pornographic magazines, and unrestricted TV in all jails. He has the cheapest meals in the U.S. too. ($.15 cents day) He even stopped serving inmates salt and pepper to save tax payers $20,000 a year. As chief law enforcement officer for the county, Arpaio, has managed to increase services and save money. His unconventional tactics have managed to gain public support and inspire an army of followers many inspired to take up the call and get on board with the Department. His leadership helped shape the current system of recruiting volunteers and turn it into the nation’s largest posse. They provide valuable assistance to virtually every division within the Sheriff's Office donating thousands of hours of time, their own equipment and raising private funds for expenses. Current members come from all walks of life; business executives, salesmen, auto mechanics, retired military. Whatever their background, the members share a sense of civic responsibility and camaraderie. They all say it is an privilege to serve the causes of the Sheriff’s Office and answer the call for help. Each one has a story of catching a bad guy or saving a life. They say: "We do it to give back". Posse members focus on the successes and say the experience of returning a lost or injured person back to their loved ones makes this unpaid job one of the best in the world.